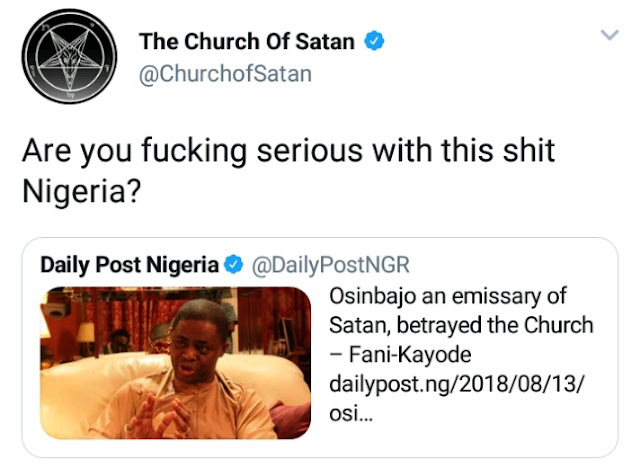 Home / Unlabelled / Church Of Satan Replies Fani-kayode's Accusation Of Osinbajo . Church Of Satan Replies Fani-kayode's Accusation Of Osinbajo . 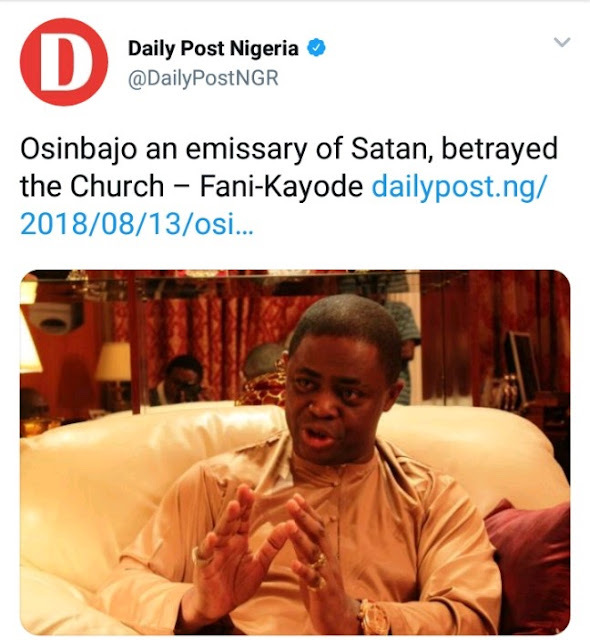 Church Of Satan shocked at false accusations towards Satan by Femi Fani-Kayode via Twitter. This is Hilariously weird. Seems Satan is tired of the false accusations thrown at him by Nigerian Politicians.